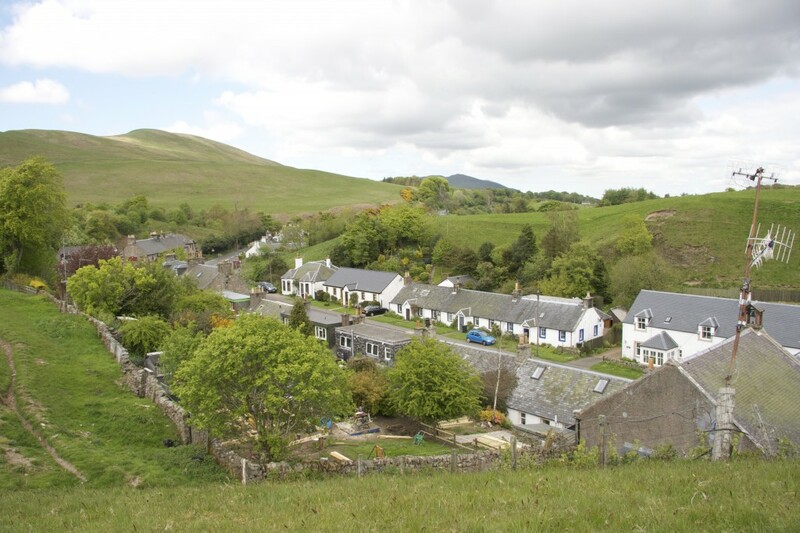 This project required the sensitive remodelling of two Grade B Listed terraced cottages in the Scottish Borders Conservation Area Village of Carlops. The clients wished to extend their houses back into the steep garden behind the terrace. In adjacent properties this had been achieved by large box dormers, a solution we felt lost the sense of the original roof profile and acted to the detriment of Historic Scotland’s wish to retain the heritage of these cottages. Our proposal formed a pair of ‘same but different’ box extensions jutting out of the ridge of each cottage, maintaining the roof form between and treating these new elements as modern sympathetic insertions. After discussion with Scottish Borders Council and Historic Scotland, Planning Permission for both these extensions was achieved in July 2011. We have just been asked by the owners to progress to Building Warrant stage in March 2012.